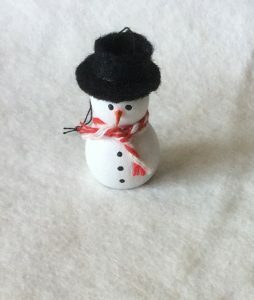 Home / STORE / Snowmen / Christmas Tree Snowman. This is a Christmas Tree Snowman, a smaller version of the Jolly Snowman. He is small enough to hang in the Christmas tree without weighing the branches down.